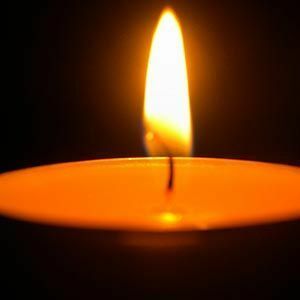 Maureen Akin, 76, of Goose Creek, SC, died Friday, February 2, 2018. All services will be private. Arrangements by J. Henry Stuhr, Inc., Northwoods Chapel. Maureen was born March 9, 1941 in the United Kingdom, daughter of the late Kenneth Leopold Romoff and the late Violet Irene Ruddell Romoff. She was a member of the Eastern Star, Order of the Amaranth, dealt with the humanities all our life and a member of St. George Episcopal Church. She is survived by three daughters: Caren Akin (Lisa Lynn) of Charlotte, NC, Roberta Akin Pate (Ben) of Clarkesville, GA, Laura Akin of Scotland; grandson, Cameron Lee Creech of Clarkesville, GA; granddaughter, Emilie Ann Dabbs (James) of Charlotte, NC; great-grandchildren, Georgia Grace Dabbs and Wyatt Louis Dabbs both of Charlotte, NC. She was preceded in death by her spouse, Robert Allan Akin. Memorials may be made to My Sister's House, PO Box 71171, North Charleston, SC 29415. I was neighbor to your mom and dad in donaree apartment in north Charleston. your mom baked short bread cookies for me at Christmas. deepest sympathy. Life Stories provides friends and families a forum to post their favorite stories and memories of Maureen Akin ensuring the precious experiences are never forgotten. Share joyful times, post a photo that captures the moments you cherish, and allow others to reply, relive and remember.